While there are hundreds of real estate agents local to the city of Philadelphia and surrounding suburbs, Brett Furman remains one of the area’s very top agents. Brett’s innovative approach to real estate involves extensive marketing programs, the use of advanced technology and social media outreach, in-depth research and analysis, and many more marketing methodologies not explored or utilized by other agents. 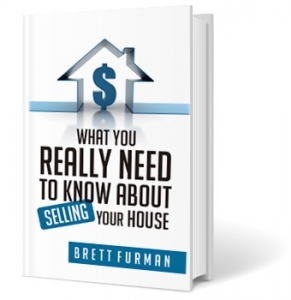 Brett gives Home Seller Workshops and other educational presentations numerous times a year, and recently penned his book, What You Really Need to Know about Selling Your House. All of this combines to make Brett stand out as an agent of skill, experience, and distinction. Brett’s experience, business sense, and dedication to his field are just a few reasons for his level of success. His down-to-earth nature is just as responsible for his excellent reputation in real estate. Brett’s clients will tell you that he is easy to reach, easy to talk to, and when you do, he’s really listening, not just trying to close a deal. Yet, when the time comes to close a deal on your behalf, Brett is unflinchingly shrewd. Brett is an expert negotiator without being pushy. He’s an experienced guide in all aspects of every kind of real estate. But most importantly, Brett works in the true spirit of the word, “agent,” meaning that he works for you, with you, and with your best interests at heart. Brett’s real estate story began in 1986 with the purchase of rental properties, well before his graduation from Temple University, where he studied business administration before going on to obtain an MBA from Drexel University. Discovering a real affinity for the inner workings of the real estate machine, Brett moved quickly from managing a rental portfolio while pursuing a career in financial services to pursuing real estate full time. Not long after, he came together with a few other agents to purchase his first real estate company, where he worked tirelessly to bring current technology and new real estate practices to his fellow REALTORS® while also building a successful business as an agent focusing primarily on home selling. Today, Brett, along with his brother Scott, are the brokers and co-owners of RE/Max Classic in St. Davids, Pennsylvania. With a capable staff and an office full of new and experienced agents, Brett’s life and work in real estate continue to grow. Brett applies his revolutionizing ideas and his expertise to every aspect of his business, and continually seeks out new and better ways to accomplish his goals, and the goals of his clients. When not at work in real estate, Brett enjoys tennis, cars, computers, and above all, spending time with his wife and two daughters and beloved West Highland White Terrier, Tobi. Would you like to Sell your home for top dollar? Contact Brett via email at Brett@BrettFurman.com or (610) 687-6060 or contact Brett here.